The SewerPros are dedicated to offering the best customer service in the industry using best-in-class technology at competitive prices. We will help educate you about your sewer and provide maintenance suggestions that save you time, money, and hassle. in sewer and drain inspection and cleaning. Since we do not repair damaged sewer lines, you will always receive an honest assessment of the condition of your sewer line and never be sold on an expensive repair that is just not necessary. 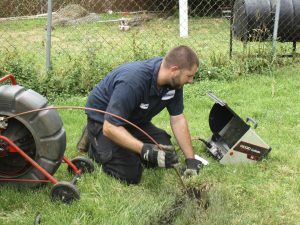 The SewerPros specializes in providing quality cost effective solutions to all phases of sewer inspection and sewer line servicing. to detail in order to protect your property and your investment. 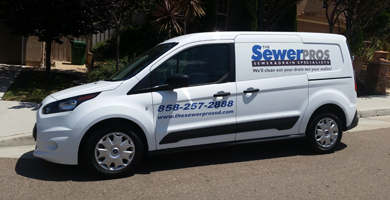 Our technicians are experienced sewer and drain professionals with combined experience of over 30 years. Our expert staff is trained to provide our clients with the best information using the latest technology available. The SewerPros was started based on the foundation of providing services that positively contributed to our local community and protect the environment. Providing these services along with our commitment to sustainable business practices has made The SewerPros a thriving successful local business. Our employees are valued, well respected in the industry, and compensated fairly. “You’ve got to find what you love. Your work is going to fill a large part of your life, and the only way to be truly satisfied is to do what you believe is great work. And the only way to do great work is to love what you do”. Let’s face it, sewers lines are not something that most people care about until they have to deal with an issue. There are a lot of companies that take advantage of this type of situation and use it as an opportunity to sell a costly repair job that, in many cases, is not necessary. The SewerPros was founded specifically to educate our clients so they can avoid being taken advantage of by that type of greedy contractor. At The SewerPros, we take great pride in knowing that for every camera inspection we perform or every clogged drain we open, there is one more person that has a better understanding of how their sewer operates and what they can do to maintain it. When we see our customers breathe a sigh of relief knowing that they don’t need a costly repair or when we find an issue in the house they are about to purchase that they didn’t know about, it makes it easy to love what we do. The SewerPros team is a group of experienced professionals, dedicated to the customers they serve. Our clients deserve the best service. 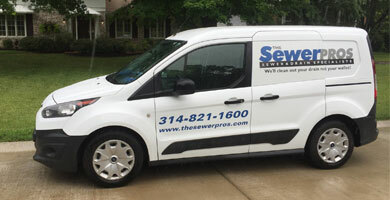 A key component to The SewerPros swift, professional service is well trained associates. If you are a committed employee looking to become a part of The SewerPros team, check out our job listings today! Are you interested in joining our franchisee team? Be a part of something big and help The SewerPros grow.